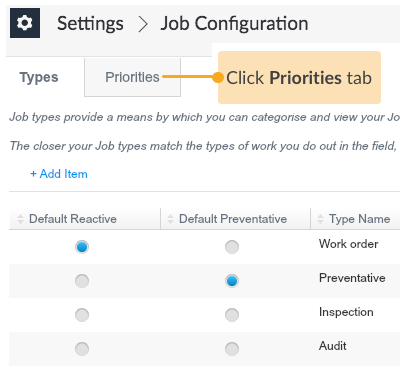 Job priorities in Loc8 enable you to enforce SLAs, which are basically compliances set to meet the timelines stipulated by each job priority level, as conducted in your business. For example, you may configure the Normal priority level to allow five business days for job completion, whereas a job assigned with Urgent priority must be completed on the same day. Based on your configurations, the Start by and Due by dates are automatically calculated for new jobs. You can identify where your SLAs are at risk through key conditions, which when true, trigger warnings and attentions on the specified timeframe before your customers can complain about it. Loc8 provides three job priorities: Normal, High, Urgent. You can add intermediate priority levels or edit the default ones to keep terminologies consistent within your oragnisation. Permissions of either a Subscriber or User license with Admin user group. STEP 2 Open the Priorities tab. 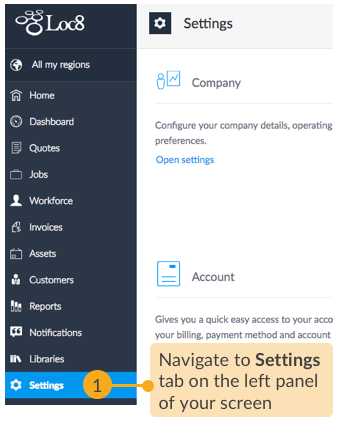 STEP 3 Add new priority level or edit the default levels as suitable to your business. 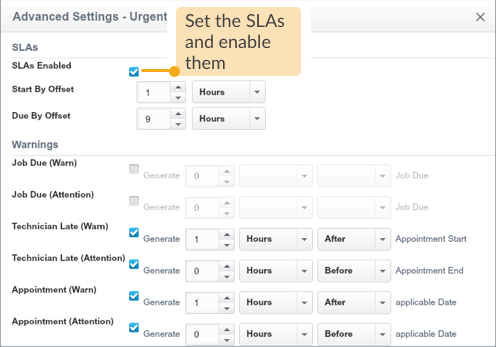 STEP 4 Configure the SLAs to the meet job completion times for a selected priority level. Loc8 takes care of wide range of SLAs, which if not met, are displayed as warnings and attentions on the job inspector that are triggered within a system-decided time. 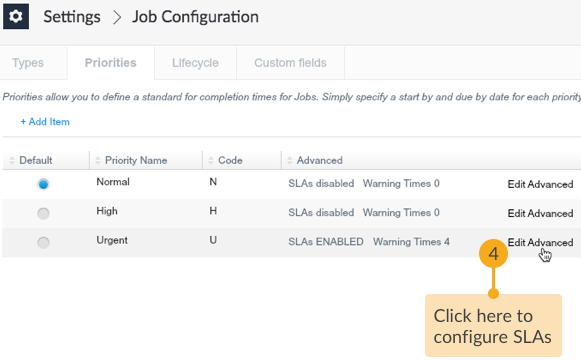 If you wish to generate the warnings or attentions on a specific time frame, you can do so for a set of common SLAs in the Advanced Settings dialog box in Job Configuration. Besides, you can also configure the Start by Offset and Due by Offset. In the example above, the job will have its Start by automatically displayed one hour after the job creation time, and accordingly the Due by nine hours after the job creation time, and you can always manually change the dates in the job inspector whenever required. STEP 5 Lastly, go ahead and save the changes. 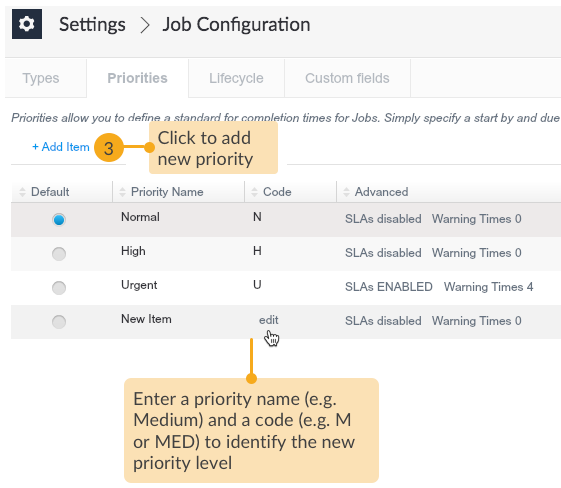 So now when you create a new job, you can assign it with the new job priority and the configured SLAs will start applying on the job.